Golden linseeds, sunflower seeds, pumpkin seeds, water, psyllium husk and rock salt. No GMOs, NO added grains, sugar, yeast, preservative free, vegan, high in dietary fibre, source of Omega- 3 fatty acids. Useful snack food if you like seeds. Suitable in small quantities on the low FODMAP diet. Do not exceed 2 crackers in one sitting. Want to know more? 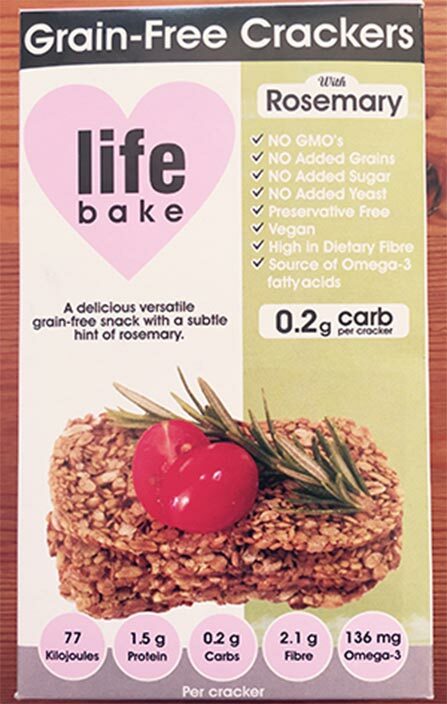 Get in touch with us or visit their official website Life Bake.